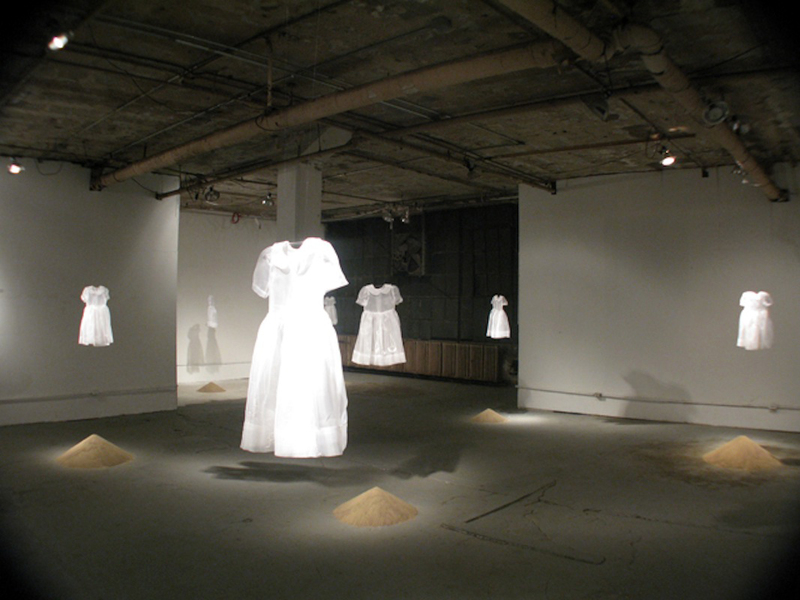 mis tak en | Installation | Fiber/Mixed Media | This installation is of seven white organza dresses all hand embellished reflecting different ideals that have been told to women since they were little girls. This installation is a part of a larger body of work I began in Paris, France titled "Spoon-fed Lies". Growing up during the feminist movement of the 1980's, I was told by many women "you can be anything you want and have it all" or contradictory things like "a woman should be married by the time she is 25" and my personal favorite, "you just have to find a balance". These misconceptions or things that have been "mis tak en" are only the beginning of this series of work.